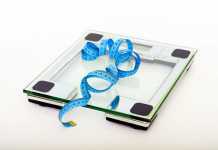 You’re building up health and beauty, you’re set on being fit and glowing with that special radiance of strength that marks all committed sportsmen every day of the year. You love concentrating on your body, revel in the acute sensation of perfect control, send commands to your muscles and get the feedback of your every movement. And you can do just that during your circuit training – when armed with a new gadget that takes over surveillance over the whole load of workout information and keeps tabs on your progress. It’s an audible workout timer (yes, you won’t always have to look at the display) called FINIS. 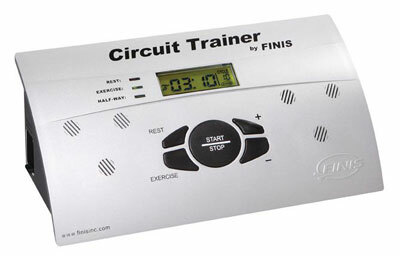 The FINIS Circuit Trainer works as a programmable timer that will keep in mind today’s exercise and rest ratio and give you a clear signal when you should change your gears. Double modes operating within the range of 1 second to 20 minutes will take care of time. 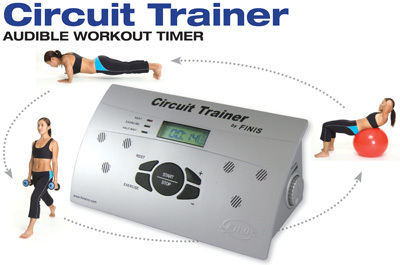 Your watch will know that it’s having a rest when you’re circuit training! The sound is transmitted via 2x amplified speakers that offer excellent service: even if you brought friends along and/or are working out in a wide open ground, the FINIS has got enough volume capacity to meet all these requirements. A 5cm LED display lets you have the time and cycle count info at a glance for the record; it also reads mode status. The FINIS is an excellent traveling companion thanks to its light weight, and the water resistant coating makes it impervious to rain or swimming-pool spray. You can get the sturdy sports-and-health friend for $129.99. Source of the image: Finisinc.